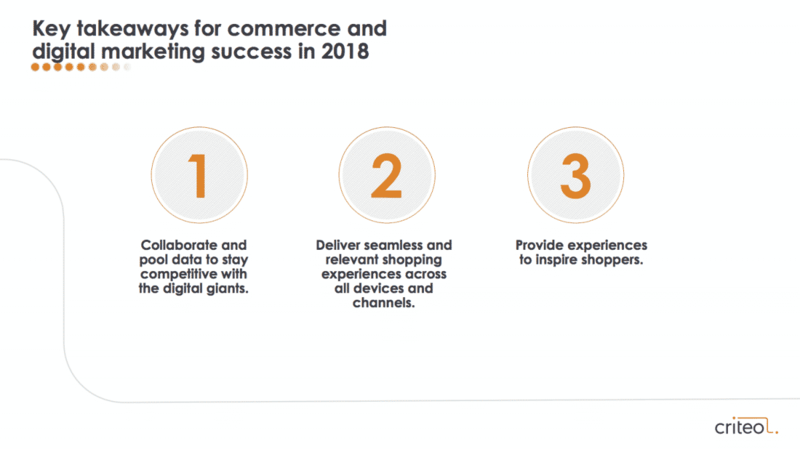 We recently hosted a webinar called “The Commerce Marketing Outlook in 2018” — the first in our 3-part series on the state of retail and the trends to watch. During the webinar, we walked through the four C’s of retail: connectivity, context, content, and cooperation. We covered how shoppers bought during the holiday season — the most active days, times, and more. Then, we broke down what we saw at CES 2018, and how connectivity and context is going to be fundamental for retail going forward. Connectivity, both online and off, drives omnishopping — and Gen Z gets it. Omnishopping is the norm, in both the US and the UK. Globally, more than ¾ of shoppers now shop using a variety of devices and channels to make a purchase. Gen Z is the first generation to not only grow up in a constantly connected world (like Millennials), they don’t remember a time without smartphones, which are a crucial part of how they shop in stores. But while they love technology, Gen Z is extremely tactile, so the online experience is not as powerful as their desire to truly engage with products before they buy. More than half of this generation says that retail stores have become more important. 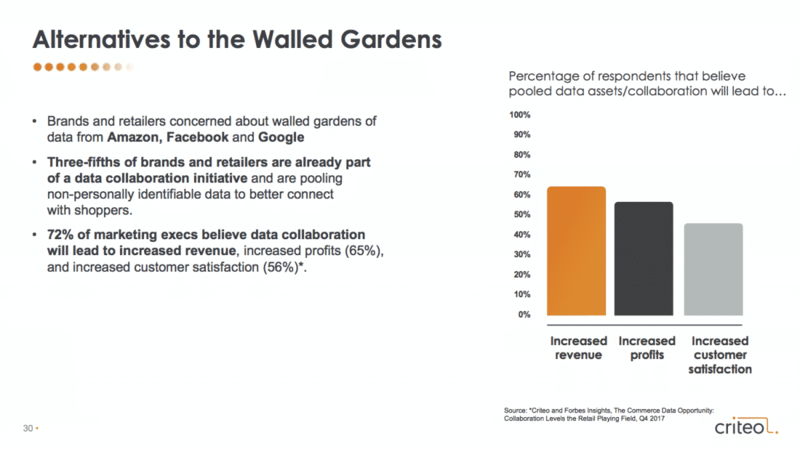 Walled gardens are a concern, but data collaboration provides a solution. Brands and retailers are concerned about walled gardens of data from Amazon, Facebook, and Google. Three-fifths of brands and retailers are already part of a data collaboration initiative and are pooling non-personally identifiable data to better connect with shoppers. 72% of marketing execs believe data collaboration will lead to increased revenue, increased profits (65%), and increased customer satisfaction (56%). What brands & retailers need to do now for commerce marketing success. Be prepared for holiday buying periods, since ecommerce is fundamentally changing retail seasonality. Deliver seamless, relevant, and inspiring shopping experiences across all devices and channels. Take advantage of omnishopping techniques like Showrooming, Webrooming, Click & Collect, and Click & Ship. Pool data assets to remain competitive with Facebook, Amazon, and Google.